June was such a fun month for the Monthly Motif challenge! We had the chance to recommend books to each other. 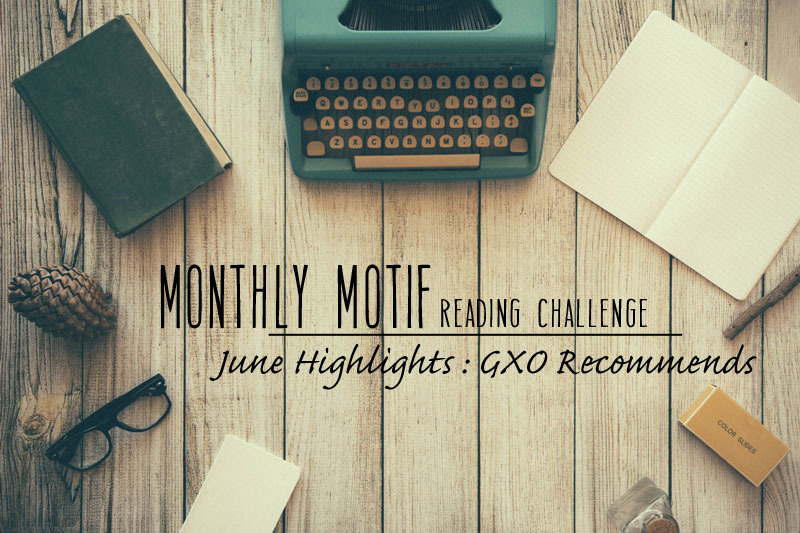 We also got to see which of the books we’ve recommended on GXO you all picked to read! Kim– I read two of the books that Tanya recommended to me: Boy 21, Matthew Quick and The Girl With All The Gifts, M.C. Carey. Both were excellent! I honestly wasn’t sure what to expect from Boy 21. It’s not typically a book I would have been drawn to because it’s so contemporary. This book touched on so many great and important subjects that many teens face. I loved the friendships in Boy 21 and how they all helped each other cope. Such a great read. The Girl With All The Gifts was one of the most interesting and creative zombie books I’ve ever read. The fact that the zombies are children is both horrifying and sad. I went through the gauntlet of emotions with that one. Tanya – I read Splintered, A.G. Howard that Kim recommended. It’s was quite an interesting fairytale retelling of Alice in Wonderland. It was highly imaginative, and so many twists. I didn’t too care for the main character, Alyssa. For some odd reason, she irritated me – but the book itself was a really good read. Reading books recommended by each other was a fun experience, and hopefully, we’ll do it again soon. It also seems you guys enjoyed our recommendations too – Julie @ Reading Life (Full Dark, No Stars) and Cinzia – 22/11/’63 by Stephen King – had good reviews. How have you been doing with the challenges so far? What’s the last book you read that was outside your comfort zone?